If screen protection is your thing, the first thing to decide is what kind of protector you want on your iPhone X, as there a few different types available now. The most popular type currently are tempered glass protectors, which have taken over the market over the last four years. These protectors have gained popularity because they not only provide protection from scratches to the screen, but also increased drop protection. They are also far easier to apply to the screen than film protectors, which certainly doesn’t hurt. 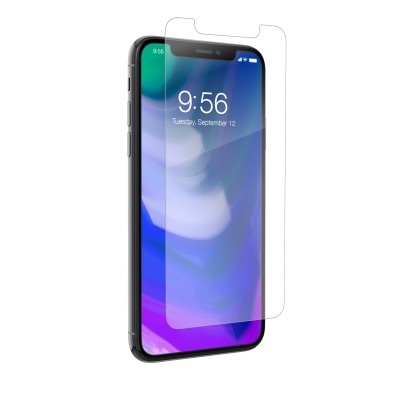 One of foremost providers of tempered glass screen protectors is ZAGG, a company that has been making protectors of various types for the iPhone since it first launched ten years ago. They have already updated their glass+ protector for the iPhone x, which is available to ship immediately for $39.99. While I haven’t tried the glass+ specifically, I actually reviewed ZAGG’s Sapphire Defense protector (which is part of ZAGG’s Screen Guarantee Plan) early this year and have been using it on my 7 Plus since then. It is still crystal clear and devoid of scratches, so I can vouch for the overall quality of ZAGG’s screen products. ZAGG actually has several other types of screen protectors in their current lineup, including models designed for privacy, and models made from materials other than glass. These should eventually come to the iPhone X, but for now, the glass+ is your only choice. If glass protectors aren’t your thing, I have another recommendation for you from a company I’ve been doing business with for several years. If you prefer wet-apply film screen protectors that are more for just scratch protection, then take a look at Best Skins Ever. They offer your choice of glossy or matte film cut for full coverage or to be case friendly for only $8.99. This price reflects a 25% preorder discount, with the protectors shipping just after the release of the X. They use the same rugged film that the competition does, and they have a very customer-friendly return policy if you have issues. If you are looking for value, this company provides it. Even though I have moved on from using film protectors on my iPhones, I still use BSE’s protectors on my Apple Watch, and they work perfectly and are very reasonably priced. Best Skins Ever also offers another option for those of you who prefer to go without a case. They have both simple and full-body coverage skins for the back and sides of the iPhone X (and any other current iPhone). Again, these are NOT for drop protection, but they will help to keep your new glass-backed baby scratch and scuff free. These protectors are also available in both glossy and matte, and can be added to a screen protector order for only $3 extra. I will warn you that the full coverage model installation isn’t for the faint of heart, but they will hold up, and they are affordable enough to replace at regular intervals. If you are intrigued, they have an extensive instruction page complete with YouTube video tutorials. There is no shortage of cheap screen protectors available on Amazon. If you need something to get you through the first week to a month after your X arrives and you have Prime shipping, this shouldn’t be the end of the world. However, buyer beware. If you really depend on a screen protector to save your new $1000 phone’s screen from a drop that could set you back $249, it pays to go higher than the bottom of the barrel. Apple was smart to remove the headphone jack from the iPhones 7 and 7 Plus last year, so all of the debate and hand-wringing over it are done with at this point. In fact, now Google and Essential have joined Apple in removing the oldest tech included in the modern smartphone. Now that’s courage! I couldn’t help it. iPhone 7 and 7 Plus owners figured out what they were going to do to get around the loss of the jack last year, so we are all good at this point. However, those of you coming along from the 6S and before may need to take a moment to consider if any of your daily workflows are about to go away in a few days. Sure, there will be the crappy Lightning EarPods in the box. I can confirm that they work as well other EarPods, which is to say marginally well. However, many users will be perfectly happy with them. For those who aren’t, there is the included Lightning to Headphone Jack Adapter, which actually works just fine with better quality buds and headphones. The problem comes when you need to listen AND charge at the same time. That was the issue for me, because I travel a bit for work and spend a good deal of time in the car. If you ever plan on simultaneously using your iPhone X for navigation and media, then you need to work this out, as well. 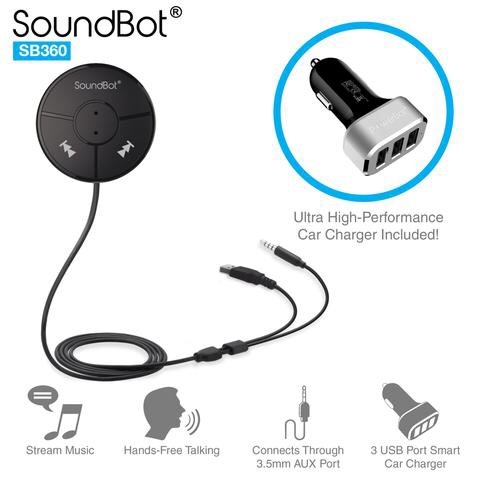 I actually ended up settling on the SoundBot S360 as a sync and charge solution. It gets around the problem by connecting a small Bluetooth music control puck to your vehicle’s Aux Jack. It also comes with a 3 Port Car Charger so you can plug it and your phone in at the same time. Not bad for $19.99 from Amazon. I chose the SoundBot because there really weren’t any good splitter options that allowed music output and charging when the 7 and 7 Plus first released. Now they are everywhere, so you aren’t limited to Bluetooth options. See here for MANY variations on this theme, most of which you can still have delivered before your X arrives. As for personal listening, Apple is obviously nudging everyone toward wireless listening, these days. The W1 wireless chip in their AirPods and several models of Beats buds and cans really does make a big difference. I have been an AirPod owner for several months now, and there’s NO WAY I would go back to regularly using wired buds at this point (you can see my thoughts on them here and here). They have good enough sound quality, but the convenience and ease of use are absolutely off the charts. They are also much more readily available now in year two, so if you couldn’t get your hands on them the first time around, now may be a good time to take a second look. If you require more sound quality than the AirPods can deliver, then based on others who I trust, I would suggest the Bose SoundSport Free Wireless Headphones. These are $249.95, a full $100 more than the AirPods. They also don’t have the ease of use of the Wi chip or as small and stylish a charging case as Apple’s competing buds. However, what they do have is Bose sound quality. Is that worth $100? It will be to some people. If larger headphones are more your thing, Apple has you covered with Beats…if you have plenty of money left over after buying an iPhone X. The Studio 3 Wireless headphones have the same W1 chip as the AirPods, but they are also a cool $349.95 retail. Ouch. 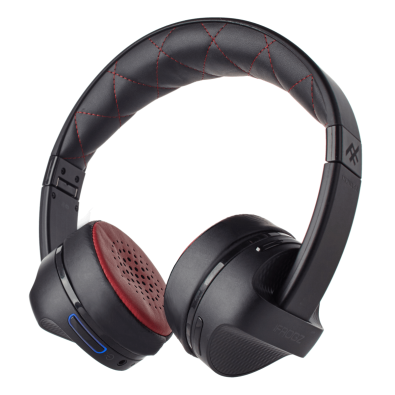 The Solo 3 Wireless are $299.95 and still have the W1, so that’s a little better. It’s still more than I’m willing to pay, but that’s not how everyone approaches the combo of music and style/brand consciousness. There is also no shortage of competing wireless cans at much more reasonable prices. I actually reviewed the ZAGG/IFROGZ Impulse Wireless Headphones earlier this year and came away quite impressed. You don’t get the ease of the W1, but you do get wired (through an included aux cord) or wireless operation with on-board controls and similarly-tuned (ie- bass heavy) sound for only $59.99. They recently added the smaller Toxix Wireless Headphones for only $24.99. If you are looking something affordable that doesn’t give up too much in sound quality, these are worth a look. That’s it for today. 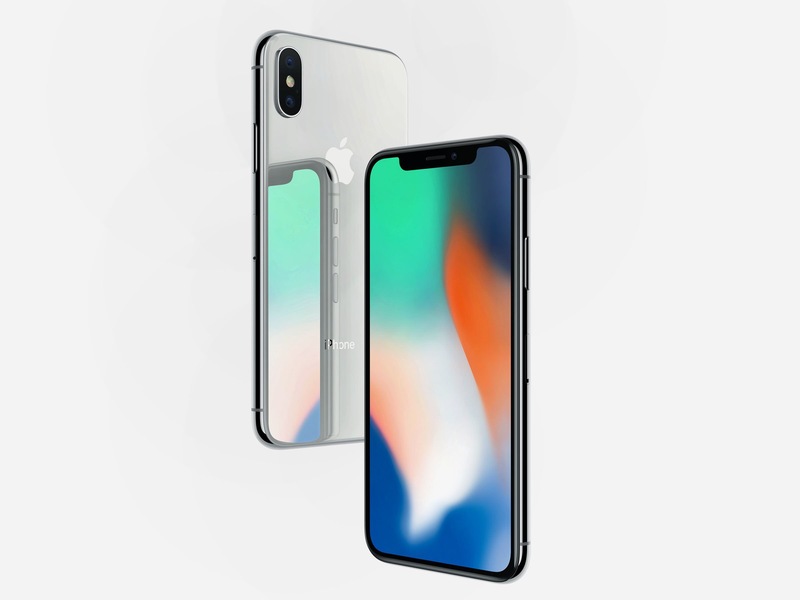 Tomorrow I am going to take a look at Fast Charging options of the iPhone X, and options for selling your older smartphone to make way for your new toy. 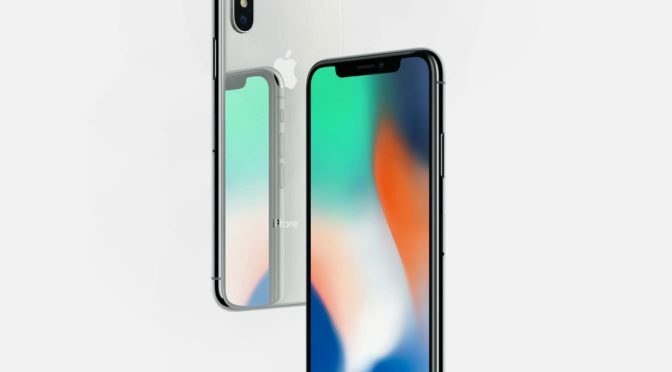 Until then, if you have any questions, feedback, or suggestions for other aspects of the iPhone X you would like to see covered in advance, let me know in the Comments section below, on Flipboard, on our Facebook page, or on Twitter @iPadInsightBlog. I would love to hear from you.